The oil giant squashed an investor proposal to set emissions-reductions targets, with help from the U.S. markets watchdog. It’s pretty short-sighted, and raises the risk disgruntled shareholders start using blunter weapons, like votes on board directors and executive pay. The $260 bln oil major is tying lobbying to its emissions-reduction agenda, augmenting its status as the industry’s most progressive on global warming. It’s a low bar, though. Shell’s modest concession should motivate shareholders to keep holding big polluters’ feet to the fire. The Saudi oil producing giant is hyper-efficient, but it still doesn’t warrant the $2 trillion value envisaged by the kingdom’s crown prince. The oil producer’s accounts show it is hyper-efficient. That helps its valuation, as does the rise in the price of crude since Aramco first flirted with an IPO. But while the company is a giant, it still doesn’t warrant the $2 trillion value envisaged by Saudi’s crown prince. Ben van Beurden’s 20 million euro pay for 2018 is more than double the previous year. Given Shell’s share performance over the last three years, a bumper payout is logical. Yet holding shares for just three years would allow him to cash out before any climate crunch hits Big Oil. Cash is flooding into Texas wells, attracted by quick investment returns. Yet the Permian’s short production cycles may hasten the arrival of peak oil. With sustainability investors pressing for cleaner fuels, some industry executives are already planning for a post-crude future. 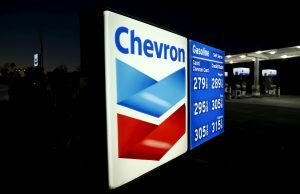 Exxon and Chevron paid more attention to climate change over the past year - and outperformed the S&P 500. But new plans to invest in Texas drilling show old habits die hard. Oil buffs gathering for the industry’s annual confab may wonder if the industry is shifting fast enough.